A 'hat trick' of reasons to order this pen! 10 colour(s) to choose from! 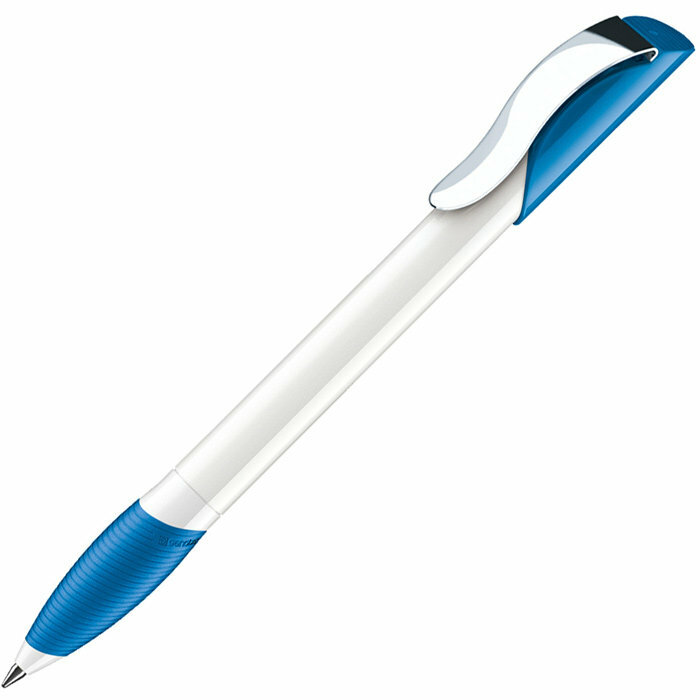 Manufactured in Europe, this retractable ballpen features a fresh white barrel with a choice of rubber grip and trim colours, each with a shiny metal curved clip and a large capacity blue ink refill. 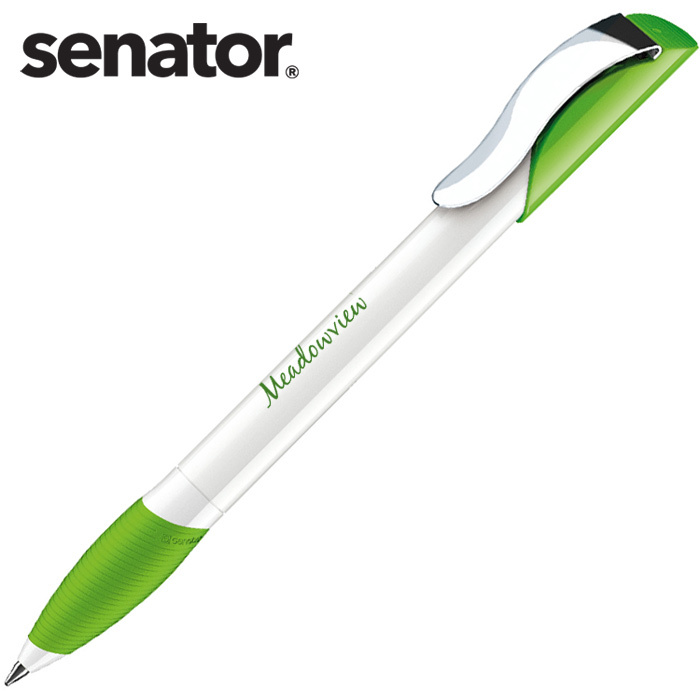 The Hattrix pen is available in alternative styles and colour options. Print area: 35 x 20mm (in line with clip) or 40 x 13mm (reverse of barrel).